Bayt Susin was a Palestinian Arab village in the Ramle Subdistrict of Mandatory Palestine, located 17 kilometers (11 mi) southeast of Ramla. In 1945, it had 210 inhabitants. The village was depopulated during the Nakba in 1948 by the Israeli 7th Brigade. Situated on a hilltop on the southern slopes of a mountainous area, Bayt Susin overlooked a wide area to its south and west. Below the village, two wadis, streaming from the slopes, met. The village stood near a network of roads that led to a many urban centers and was linked by a secondary road to the Jaffa-Jerusalem Highway. Surrounding Bayt Susin were the ruins of a wall and cemeteries, cut stones, the foundations of houses, cisterns, and a basin. The Crusaders referred to the village as "Bezezin". 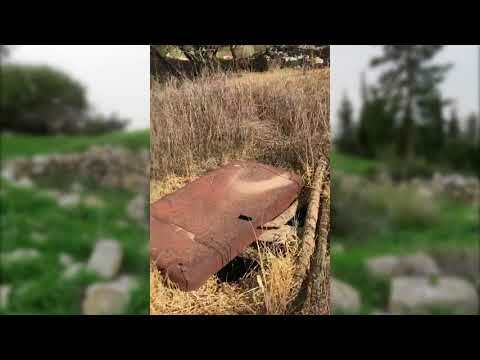 According to Israeli New Historian, Benny Morris, Bayt Susin was captured and depopulated on 20 April 1948, at the beginning of Operation Nachshon. However, Palestinian historian Aref al-Aref wrote an attempt at capturing the village occurred on 22 May, but failed due to both strong resistance from the local militia and false knowledge that it had been evacuated of its inhabitants. According to Israeli officers, on May 23 Bayt (Beit) Susin was occupied by Arab Legion and irregulars, which was unknown to Jewish commanders. On 20 August 1948, Bayt Susin was one (of 32) depopulated Palestinian villages which were proposed by David Ben-Gurion and for new Jewish settlements.The moshav of Ta'oz was established on Bayt Susin's lands, but southwest of the village site, in 1950. According to Palestinian historian Walid Khalidi who visited the site in 1990, the Bayt Susin "has been leveled by bulldozers; grass and thorns cover the remaining rubble... and the remains of walls from houses can be seen on the southern edge, where carob, pine, and cedar trees grow." Displaying 1-43 of 43 results. visiting Bayt Susin at Yom Kippur (the Day of Atonement), Will Beit Sussin forgive?